Earlier this month, we announced the first version of the Blogger app for Android on the Blogger Buzz blog. Today, we’d like to share some tips on how you can use the Blogger app to quickly publish posts when you’re on the go. Take photos using your phone’s camera and instantly add them to your post while you draft. You can also insert photos from your phone’s gallery, all within the Blogger app. With your phone’s GPS, you can let your readers know where you’re blogging from by selecting your current location, no additional typing needed. Share videos, products, photos, links and other interesting things you would like to include in your blog via the share button that’s available in many apps, including Google Maps for mobile, YouTube, and your web browser. After you share an item to your Blogger, it will be inserted into new post that’s automatically created for you so that start can composing right away. If you’re an author of more than one blog, you can easily switch between your different accounts by tapping on the orange arrow next to the title of your blog. That way, you can publish articles for each of your blogs to keep your all of your readers up to date. See what you’ve composed in an easy to read list by tapping the list icon located on the top right-hand corner. We hope that you enjoyed these blogging tips. 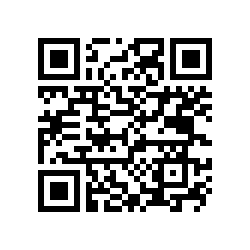 If you haven’t done so already, you can download the free Blogger app for Android 2.1+ devices from Android Market or scan the QR code below. As always, we would love to hear what you think so please feel free to share your thoughts with us through our feedback form. I would love to see this for BlackBerry devices. Lack of a decent blogging app is one of the biggest shortcomings of the Blogger platform in a mobile age. @Marc - The app is nice, but setting up a Blogger email address for mobile posts works well too. I'm glad to see this app finally come out. It's a good start, but we need to be able to adjust the picture size, and be able to position it where we want it in the post. It also needs a place where we can read other blogs like we do on our Dashboard page. Thanks! Add the option of moving the app to the SD-card and I'll consider installing this again. Thanks for your posting. I think these types of posting very helpful for all bookmarkers. I would love to be able to edit my drafts that I previously started writing on the computer, and finish them on-the-go. Without that, the app is useless for me. As Miroslav commented up here, I too badly miss the ability to edit in this app a blogpost (published or draft) started on PC. If its true that you cant move this to SD card then its a no no for me. Struggling enough with memory with just the bare essentials. The application is very good in my opinion but it could be improved in newer versions. What about allowing to adjust the picture size and be able to choose the position of it in the post? I like the pictures in the top of my posts and the text just after that. Please consider these suggestions for the next versions. Google, have you ever considered the idea to release Maps 5 outside the US? Modern science claims there IS life in other parts of the world as well, you know. I was able to contribute so much positive images through google goggles for content on my blog. that it helped me get my point across many people. thanks google. Hello! I´m thinking about mobilfones! Should I bet on android? Hey! When are you guys going to create a Blogger for Blackberry app? Please?? Happy this app finally came out but i'd love to see the option to move it to my SD card. Droid 1.